Application of blockchain technology to Artificial Intelligence, this is Dbrain project in few words. On Dbrain platform is going to be possible creates AI Apps on the blockchain. How does it work? Dbrain let users collect data and record these on a machine that became able to learn. As all know, collecting data is the big frontier versus AI application. Therefore, to overcomes expensive problem, Dbrain offers revenues to users (called labelers) through tokens. Actually is active a beta platform on the official web page that allows users entering manually data and earn tokens. At the same time, Dbrain team has released a Telegram Bot for the same scope and based on about 250 tasks. The user has to answer correctly identifying images with text below. The solutions offered by the Dbrain platform creates a win-win situation for its user with most effective and efficient output. The solution offered by the Dbrain can proceed thousands of transactions per second with the most reliable manner, with the facility of independent verification of each party associated with the platform. In the current scenario, the most important challenge AI is facing is unreliable data security, storage of high-quality dataset, lack of frameworks offered by parties who are involved with AI development and unreliable data quality. So, Dbrain offers its helping hand to the developing market to overcome the current problems. The platform Dbrain has already set their milestone by launching its alpha versions of platforms including a telegram bot and web application. The platform has the potential to reach in every corner of the world and make its own space for achieving more success in the collaboration with AI and blockchain. Hence, Dbrain will be proved as a very beneficial platform for all the participants who love exploring the world of artificial intelligence. Through the use of blockchain protocols and internal encryption modules, Dbrain provides its customers with a platform that is not only secure but also transparent. This platform makes use of the Spock protocol — a protocol that has been shown to validate the quality of labeling and other internal services. 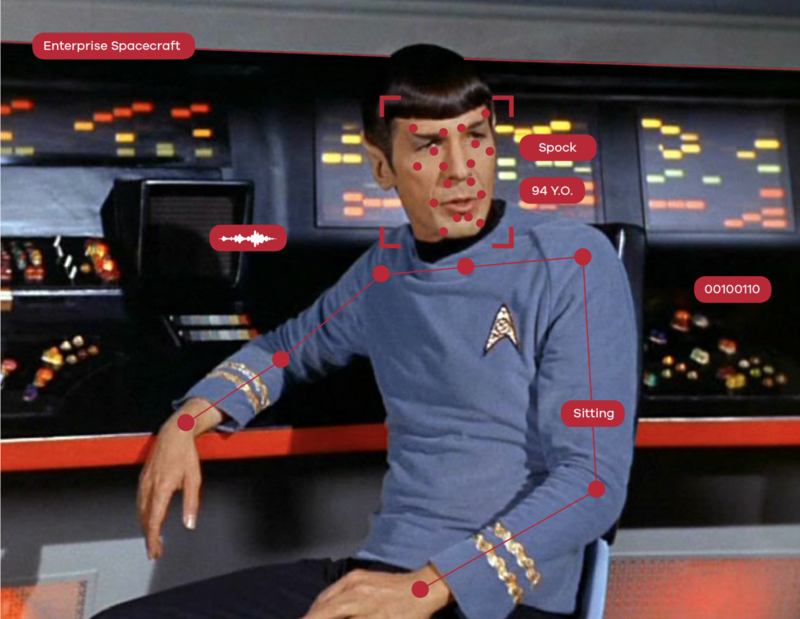 another underrated feature of Dbrain is its use of Picard — a safety protocol that stores sensitive user-related data in a private and confidential manner. Dbrain is backed by some of the big players in the digital domain such as Nvidia, Microsoft, Pro Skater, AWS Activate and more. With the AI market booming and generating high interest, it is predicted that by the year 2028, there will be a plethora of new jobs created within this sector alone. Dbrain provides scalable and accessible infrastructure to supercharge businesses with high-quality AI, integrated via a convenient API. They connect exploding AI demand on human-labeled data with the abundant global supply of online workers. Dbrain reaches 2 billion of unbanked people in low-wage countries to give them income streams in Crypto and reduce labeling costs. 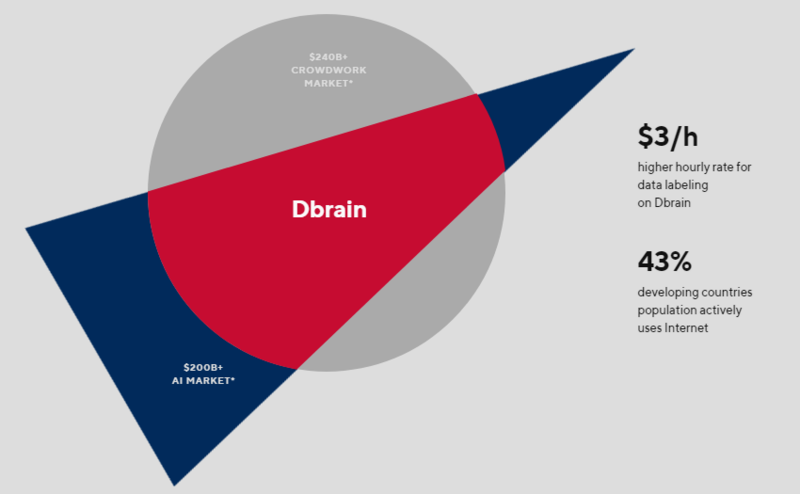 Dbrain gives unbanked people an opportunity to raise their standard of living and become a part of a global financial system due to a blockchain cross-border reach. Dbrain works on blockchain protocols and with its cryptocurrency (token) and for this reason, provides transparency and fair revenue distribution. The project is very feasible if the reader thinks on about 2 billion of persons with internet access but unbanked. As all know, the value of a project is linked also to its popularity. The big potential users that can earn money by it, assure long life and future investment. Following Dbrain team estimation, indeed, a single user can earn until 3 $ for work hour labeling on the platform, and, if we consider that 43% of developing Countries people can live with 5$ per day, we can have an idea of Dbrain potential. Moreover, payments go through blockchain and so are with low fees and instantly. Regarding project development, taking a look at its Github channel (ref. : https://github.com/dbrainio) we are sure that the project is not an empty box. Its development, indeed, is ongoing. Furthermore, the project points to enlarge application cases passing on Object Detection, Segmentation, Face recognition, Classification, Speech recognition, Pose estimation and Arbitrary binary data analysis. So the AI sector is very large and it becomes more when applied to blockchain technology. On Dbrain webpage, it stands out how team praise clients and partners like Microsoft, Nvidia, Aws Activate, Thngs, Proskater and Kupivip. Actually, no ICO rating website has written any review, so I cannot add information about. In my point of view, considering the idea and team behind, it is a project of 8/10 score.